In the summer of 2013, author and journalist D.R. Haney (Banned for Life; Subversia) rented Room 32 at the Alta Cienega Motel in West Hollywood, California, a room which for three years served as the hermetic home of the late Jim Morrison, lead singer of The Doors. Haney’s idea: rent the room, get some booze, throw a party—and hire a psychic medium to try and conjure Morrison’s spirit. 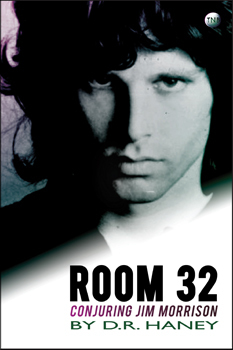 Room 32 is a masterfully written, deeply fascinating, and wonderfully strange account of what happened next and why, all these years later, Morrison’s legend still looms large. Available now as a Kindle Single. Buy it for only $2.99 in the Kindle Store.